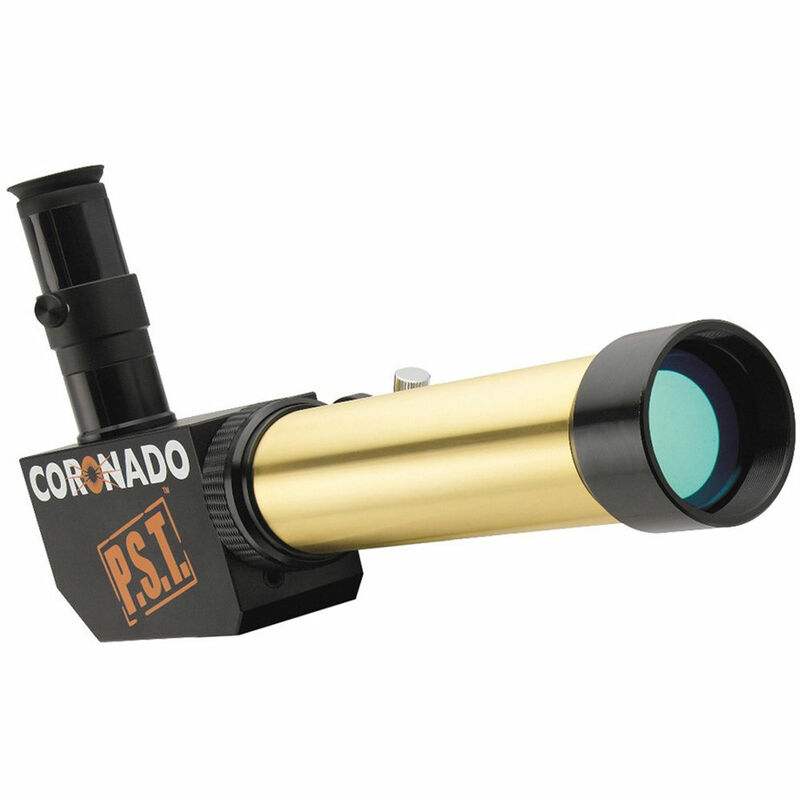 Coronado's iconic PST 40mm f/10 1.0Å H-Alpha Personal Solar Telescope optical system is tuned to the hydrogen-alpha bandwidth with a broad 1Å (Angstrom) bandpass for viewing details of the Sun's chromosphere (surface) and prominences, as well as filaments. A bandpass tuner allows users to compensate for Doppler shift or to highlight specific areas or zones. It is designed and engineered to be set up quickly and used easily. 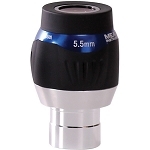 For simplicity, the 30mm etalon and rear blocking filters are set internally, so all users need do is mount the OTA on a stable platform and drop in the included 20mm eyepiece. 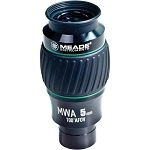 The PST is offered here without a mount or tripod, but it is equipped with a standard 1/4"-20 tripod mount for using conventional photo/video/field tripods, or it can be mounted on many alt-az, EQ, or motorized astronomical mounts. Box Dimensions (LxWxH) 19.2 x 10.4 x 7.4"